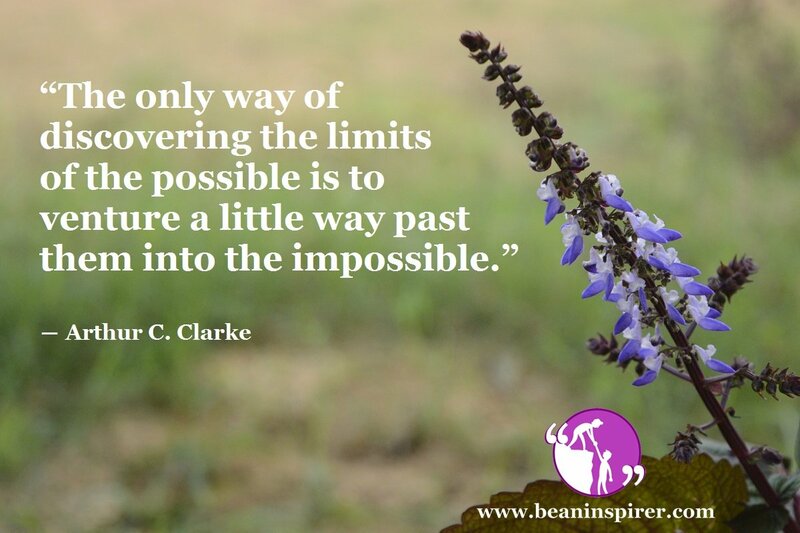 How often have you read impossible being spelled as ‘I-M-Possible’? Clichéd and overused yet it holds true. Desperation, disappointment, and frustration, are some emotions that we have all experienced some or the other time in our life. It is during these moments we feel as if nothing is ever going to work out and we are nothing more but an utter failure! Some give up while some try one more time and this time a little harder. And this little extra effort makes all the difference. In the wake of depression and helplessness, we often feel like giving up, quitting, and escaping seem easy rather than standing upright and facing the problem. I agree that situations are not the same for everyone, but as they say, right before you give up it is exactly the moment you shouldn’t. Who knows what does the future hold for you. Today, the world seems tough and breathing seems quite next to impossible but don’t forget that tomorrow is a new day. A day where the skies are clear and bright and you can breathe again! For all you know, it just might rain today. Look at the scientists, initially, it was believed that we can’t reach the moon, but they believed that yes we can and look, today they have proved it true. Yes, believe, believe in yourself that you can achieve it, believe that you are made for better things, believe that there is nothing which is unattainable, and believe that there is still hope. Hope is what keeps one alive; hope is what takes one forward. Don’t give up on hope, don’t give up on yourself, try a little harder. Strolling down my memory lane, I visit a tea stall and a story. A story of a friend who was narrating me an experience. He and his team were on a hike and had lost their way and were now stranded in a forest full of all sorts of wild animals. The night was fast approaching and there was nobody that they could reach out to. Walking with no means of communication, they had lost hope of finding their way back home. The only thing that kept them motivated was the sound of water, a river maybe. They walked and walked in search of it and reached a dead end, there wasn’t any possible way ahead. The only path in the vicinity was a little over on the top of a mountain. But the dark made it impossible for them to see if there actually was a way or was it just a mirage. With no further way ahead, they prayed and moved towards the only visible path over the mountain. Rest as they is history, but all you need to know is, they made it. A little bruised and hurt but they made it out of the jungle, alive. If they did, so can I and so can you! Sure, all of us are faced with different difficulties but the only mantra for success is: attaining the unattainable! Walking past the possible, into the realm of impossible will require more from you. There will come a point when you will think that this is your best and you can’t put in any more. But this is the exact moment, where you have to take a deep breath and work a bit harder. There is nothing that hard work, dedication, and sincerity can’t win. In the end, it is all in your head and so is your decision. Labeling something as impossible and leaving it aside is easy, but standing put and proving oneself wrong is just more fun.